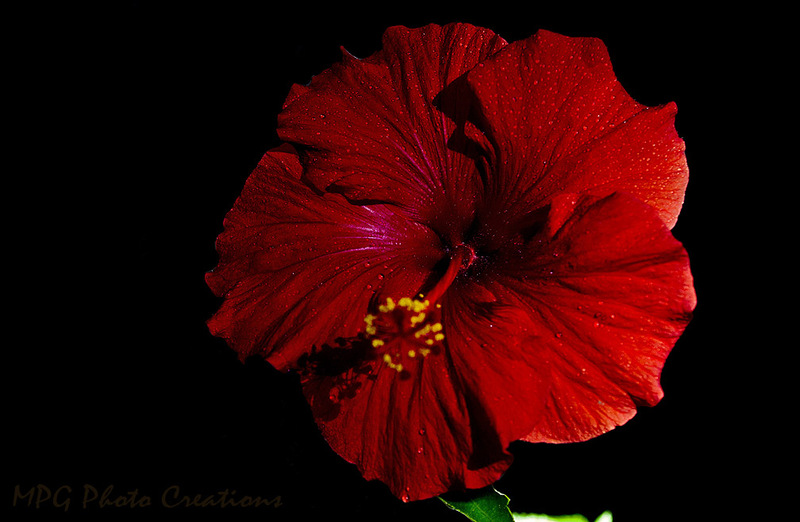 I had taken this photo back in December of my Hibiscus in bloom but never shared it. The droplets are not real rain obviously. :-) I made the background black by upping the black levels in the photo. Shooting inside with a flash makes this easier. I think it gave it a moody look which I liked.